Give it a name and select an escalation Policy. 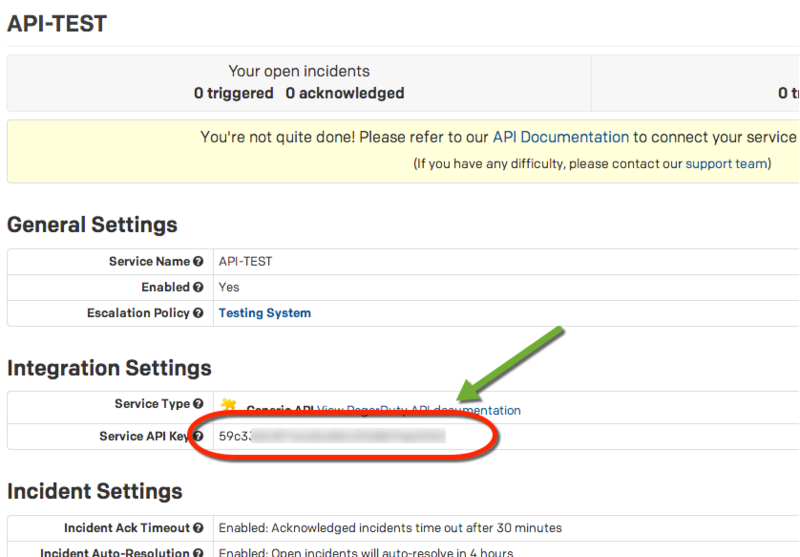 Select "Use our API directly and click on Add Service. 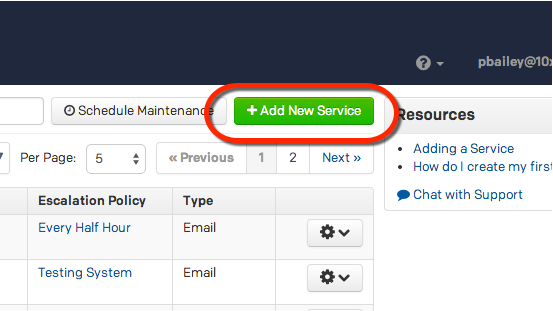 Copy the Service API Key. 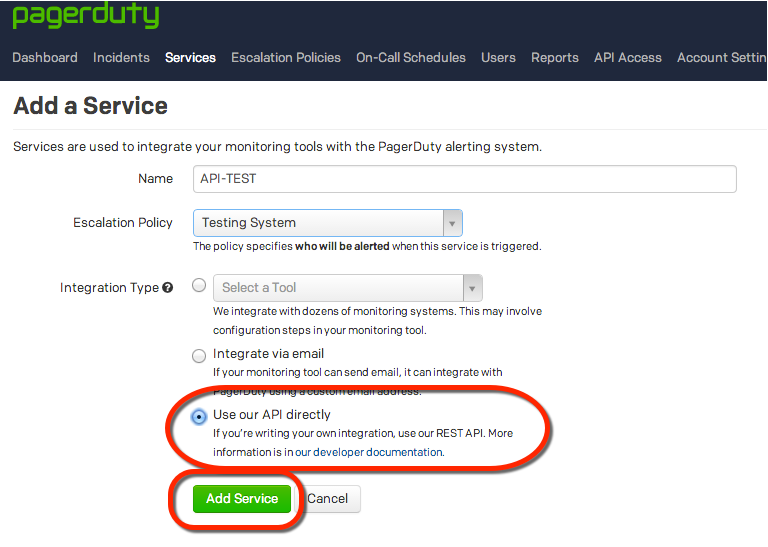 To trigger the event you need to POST a JSON file to pagerduty's REST API. 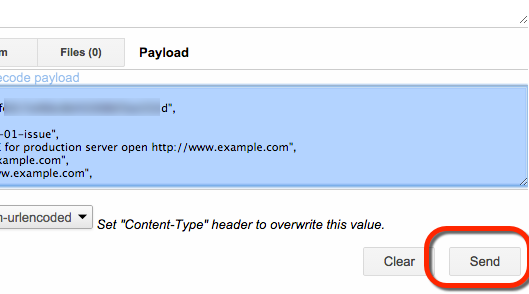 Here is the JSON payload I sent. 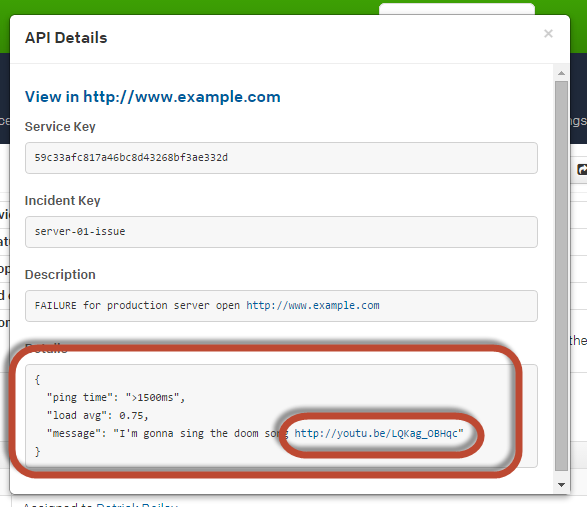 "message": "I'm gonna sing the doom song http://youtu.be/LQKag_OBHqc"
Put your own service API key in this JSON and POST it. 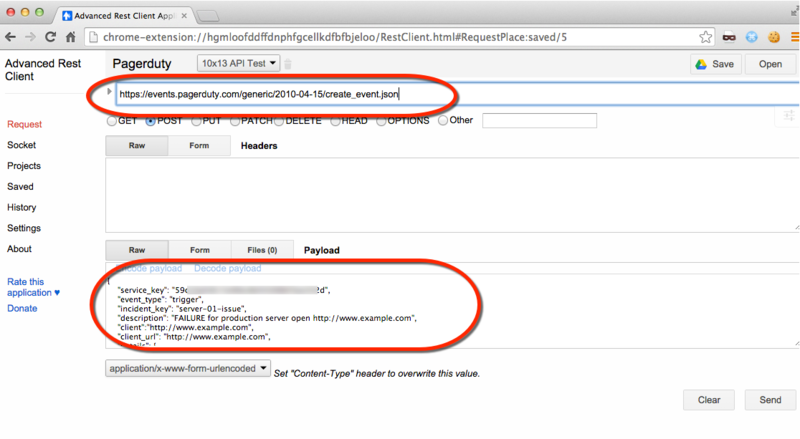 If you are using Advanced Rest Client just click Send. You should get back this response. Which means you successfully triggered the event. 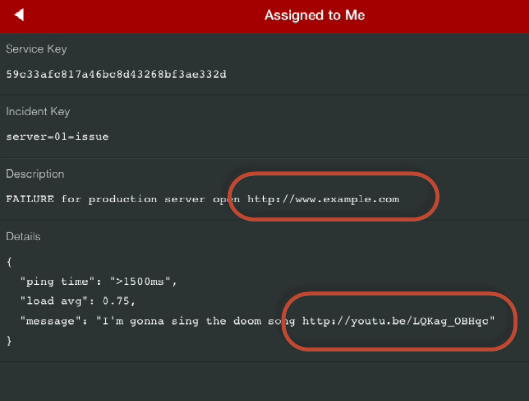 "message": "I\u0027m gonna sing the doom song http://youtu.be/LQKag_OBHqc"
Let me go into a little detail on the JSON format. 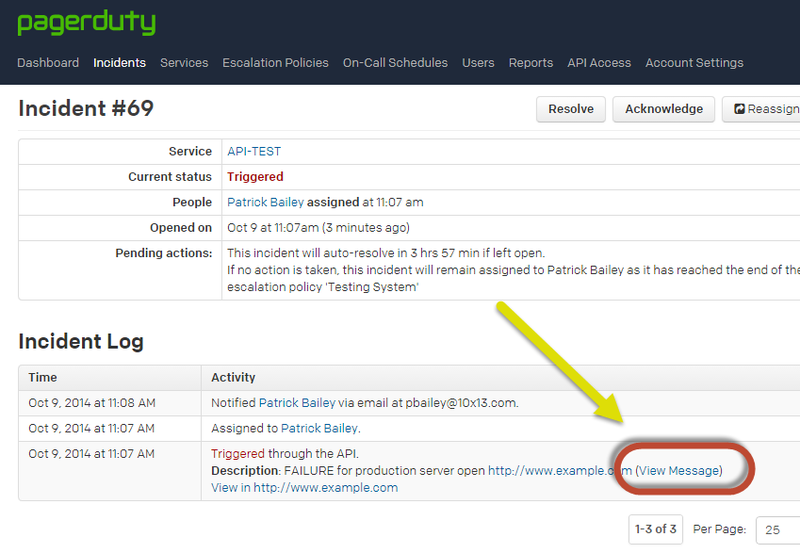 Use the details section to put information in the message! 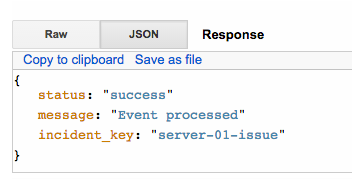 The JSON is within the message and URL links even work from the WebApp and from iOS and I believe the android app. 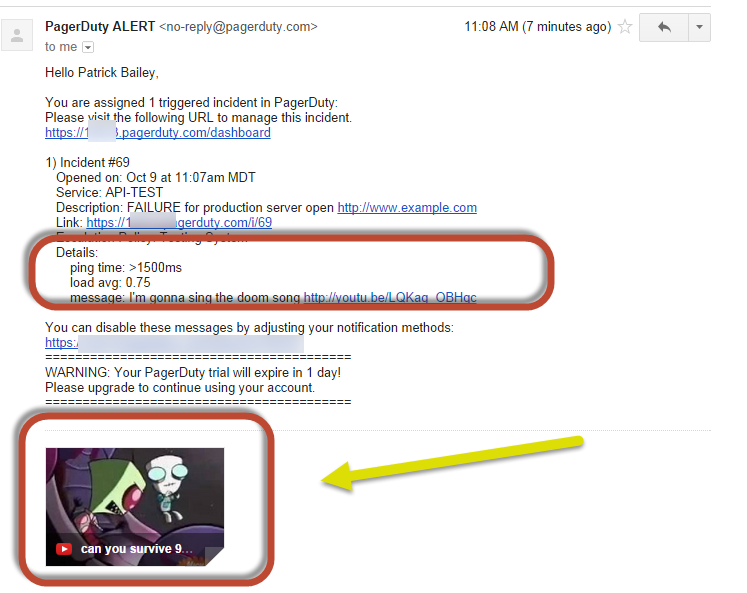 If your contact info is set up to email you and you happen to use Gmail, your email will look like this when you open it. 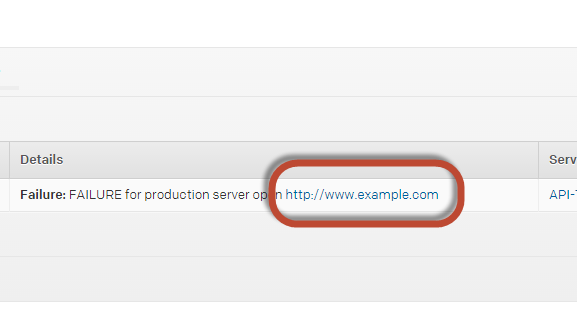 It's even smart enough to show the YouTube video I linked to. 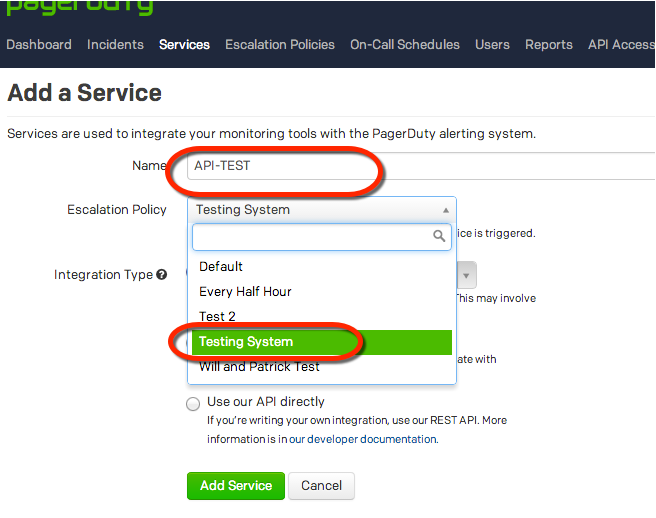 That's it for this write up I hope it helps you create your own Pagerduty API services (alerts). 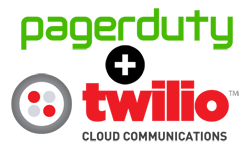 I think using Twilio with Parse Cloud Code to trigger a Pagerduty API service will be much cleaner and give you a lot more capabilities, especially on the Twilio side.